Gallery Bethesda II is modern living at its finest. 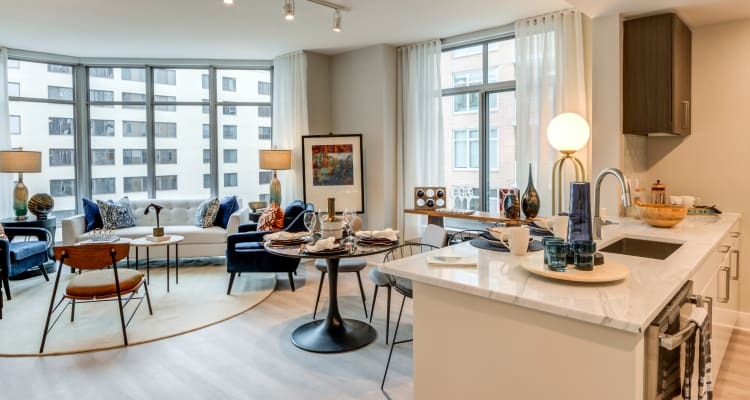 Whether you select a studio, 1 & 2 bedroom home, you'll enjoy a Bethesda, MD, apartment where the space flows intuitively and every detail impresses. Take a look at the different floor plans we offer, then schedule a tour to see the one you love the most. Lease today for up to 2 MONTHS FREE! Lower your Monthly Rent - Ask Us how! Don't see what you're looking for? Visit our sister property, Gallery Bethesda! When we designed the apartment homes at Gallery Bethesda II, we gave close attention to form and function. The result is floor plans that look as beautiful as they live, blending truly stylish finishes with open layouts that make perfect use of the space. With such a keen focus on good design, you'll not only love coming home to your Bethesda, MD, apartment for rent, you'll love being home.